Pauline Phillips, known to millions as "Dear Abby," has died at the age of 94. Pauline Phillips, the original “Dear Abby” advice columnist, died Wednesday at the age of 94 after a decade-long struggle with Alzheimer’s disease, NBC News has confirmed. Phillips wrote the most widely syndicated column in the world — published in more than 1,200 newspapers and read by nearly 9 million people daily — under the pen name Abigail Van Buren for four decades. In 1956, the 37-year-old housewife became a journalist, writing for the San Francisco Chronicle and, soon after, for newspapers across the country. Phillips gave advice to men and women alike, championing equal rights for women, minorities, mentally ill individuals and those suffering from disease in her column and beyond. She continued giving advice through the publication of six books and a popular radio show, "The Dear Abby Show," which aired on the CBS Radio Network for 12 years. Her daughter, Jeanne Phillips, co-wrote the column with her mother for more than a decade. "I have lost my mother, my mentor and my best friend," she said in a statement. "My mother leaves very big high heels to fill with a legacy of compassion, commitment and positive social change. I will honor her memory every day by continuing this legacy." Using the pen names Ann Landers and Abigail Van Buren (Dear Abby) respectively, identical twins Eppie Lederer and Pauline Phillips competed for space in newspapers across the nation for almost 50 years. 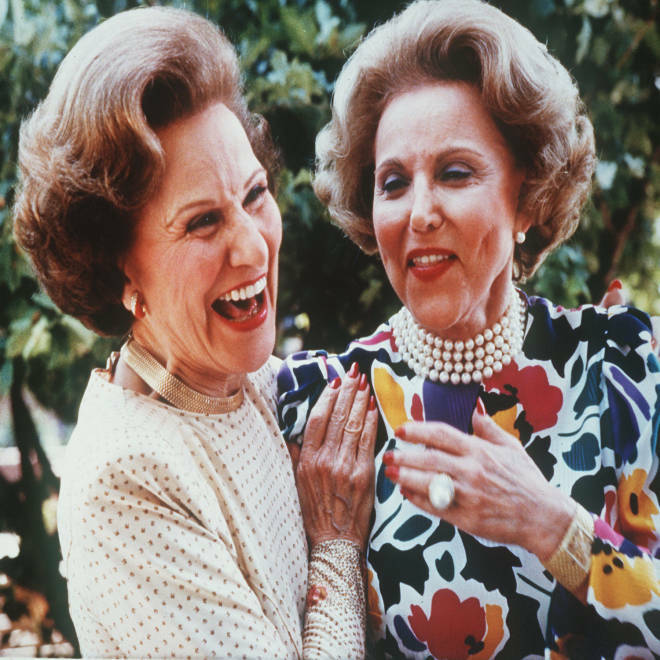 Lederer, right, died in 2002, the same year Phillips' daughter, Jeanne, took over Dear Abby. Phillips, left, died Wednesday. Jeanne Phillips continues to write the column today, carrying on her mother’s legacy under the pen name Abigail Van Buren. Other popular advice columnists — like Slate’s Dear Prudence and The Rumpus’s Dear Sugar — have followed in the iconic journalist’s footprints. Phillips continued writing her column even into her 70s, seeing hundreds of letters daily. "Age has nothing to do with it," she once said of her work. "It's only work if you would rather be doing something else." She was born on July 4, 1918, in Sioux City, Iowa. Her twin sister, Esther "Eppie" Pauline Friedman Lederer, also was a popular advice columnist — under the pen name Ann Landers. She died in 2002 at age 83 of multiple myeloma. 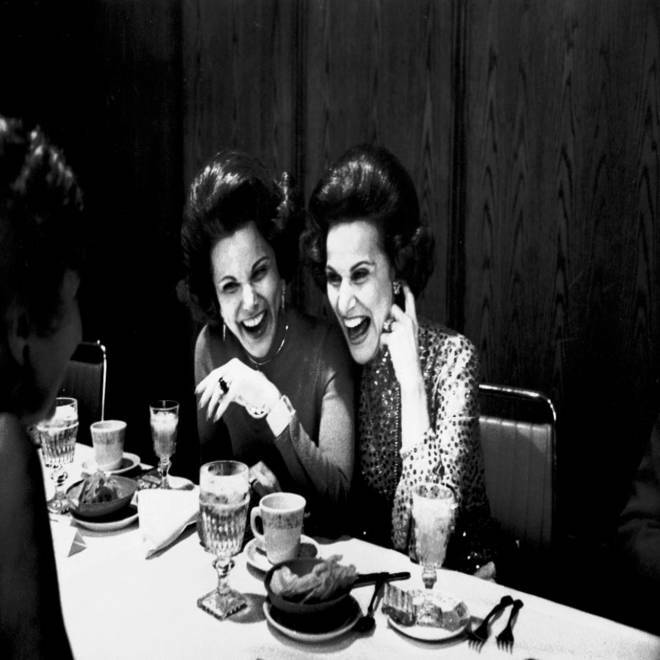 Twin sisters and advice columnists Ann Landers (Esther "Eppie" Lederer) and "Dear Abby" (Pauline Phillips, aka Abigail Van Buren) are shown in a photo from the late 1970s. Phillips is survived by her husband of 73 years, Mort Phillips, her daughter, Jeanne, four grandchildren and two great-grandchildren. Flowers were to be placed on Phillips’ “Dear Abby” star on the Hollywood Walk of Fame at 4:30 p.m. ET Thursday.